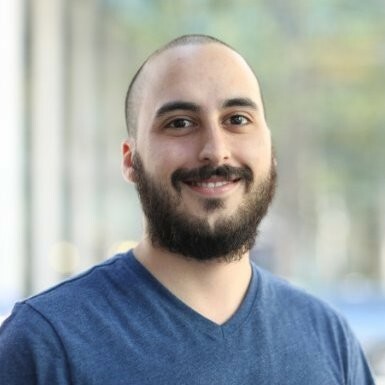 Cesar Gama is a Site Reliability Engineering Manager leading the Amplify SRE team. This team partners up with the Amplify Software Engineering team to build and support key components of LinkedIn, such as our infrastructure for serving notifications to members, Concourse, and Air Traffic Controller, among others. 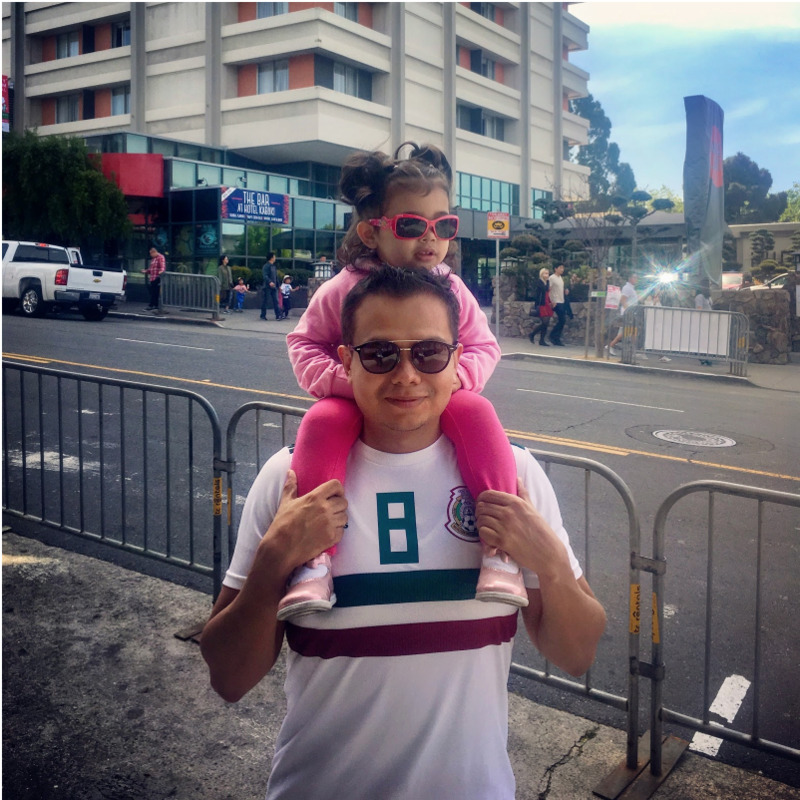 Cesar's focus has been to build a strong relationship with the development team and to make sure everyone on his team has what they need to be successful. What was your path into tech and specifically to becoming a Site Reliability Engineer at LinkedIn? When I was in high school, my parents made a tremendous effort to buy a computer for my brothers and me. We were only supposed to use it for homework, but I wanted to learn how computers worked. After a few weeks of messing around with BIOS configs, partitions, installing Linux unsuccessfully, and checking how it was wired internally, I got in trouble because my brother needed to use the computer, but it was no longer usable. So, I had to learn how to fix my mess. The more I learned about computers, the more questions I had, so I decided to study something involving computers, electronics, and programming. What is a typical day like for you at LinkedIn? The first part of my day is pretty standard. I usually get to to the office at 9:00, then scan my inbox and prepare for my 9:30 meeting. It is an SRE-wide meeting in which all the production issues from the previous day are discussed. At 11:00, I join my team for our stand up meeting to make sure we are on track for our projects and don’t have any blockers. After that, things are different depending on the day. In a typical week, I spend around 40% of my time planning projects and attending to execution review meetings, and 30% having 1:1 meetings with my team and working to find ways to help them succeed. I use the rest of my time for personal growth, like developing skills, exercising, and meditating, and to execute team projects. I also lead the Product SRE Design Review Forum, which is a collaborative forum for engineers to get SRE-focused peer review to help refine their projects. What are some of the coolest projects that you and your team have been working on? Until a few months ago, my main assignment was to be responsible for the infrastructure of the Omni services. The Omni services discover and ingest external data, such as job postings or company information from partners and public internet sources, and then collect, clean, and standardize it to perform analysis to obtain insights from the data. They are an amazing team building great products and I will really miss working with them now that I'm moving to a different team that supports some of LinkedIn's core features in the flagship application. How would you describe the engineering culture at LinkedIn? The bar is higher than in other places because we hold each other accountable and most people are very competitive. Despite that, the environment is healthy the majority of the time. Conflicts exist like in every other company, but everyone is willing to listen to the other party and work out a solution. What are the keys to your career success? I think the most important one has been to embrace my mistakes so that I can learn from them. It took me a lot of time and effort to accept that it is okay to be wrong, that failing is not the end of the world, and that I don’t have to be perfect. It was hard because in my family, I am part of the first generation who could go to university and am the first one who decided to pursue a career in engineering. Because of all the expectations, any time that I did fail, it was easier to think of myself as a victim of the circumstances; however, once I realized that I control my own destiny and that I can make things happen, everything started to get better. Each day, I work to hold myself accountable for the consequences of my actions and decisions, even when I choose poorly or make mistakes. I know that I'm not perfect but a work in progress, and I try to get better all the time. What other projects are you involved in outside of SRE? I like to participate in diversity, inclusion, and belonging events such as Open Mic Nights, Next Play Sessions, or Mentoring Circles. My main motivation is to learn from others and to help in creating an environment for everyone to feel comfortable and happy being themselves. I also try to be an active member of the company’s photography group for employees. I bought my first DSLR a year ago and I am enjoying learning about photography and taking photos. The purpose of the group is to share our work and give advice to newcomers and rookies like me. What makes working at LinkedIn special, and what’s your proudest accomplishment to date? I feel there is a genuine interest from the leadership and management in their employees. They try to create an environment in which everyone can succeed. Of course, things are not perfect, but most of the people work hard every day to improve. I think this is the best job I have ever had. I am proud of being here and becoming a valuable member of the company. In the beginning, I felt intimidated when I realized I was working side by side with people educated at MIT, Stanford, Harvard, and some other very prestigious schools; it took me a while to get comfortable and to realize that I, too, have a lot to offer.